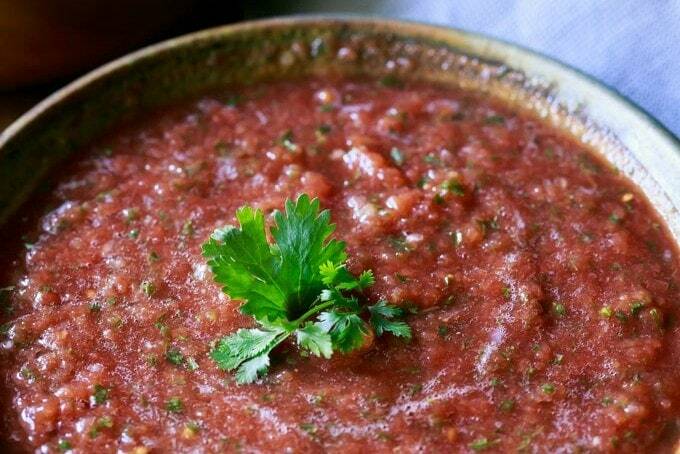 Packed with fresh ingredients and fabulous spices, you’ll love my Two Minute Blender Salsa! 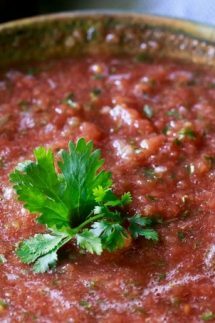 I thought about naming this recipe ‘Instant Blender Salsa’ as it’s so unbelievably quick to make that it really is almost instant, but there are just a few quick steps that you need to do before throwing all the ingredients in a blender and turning it on. 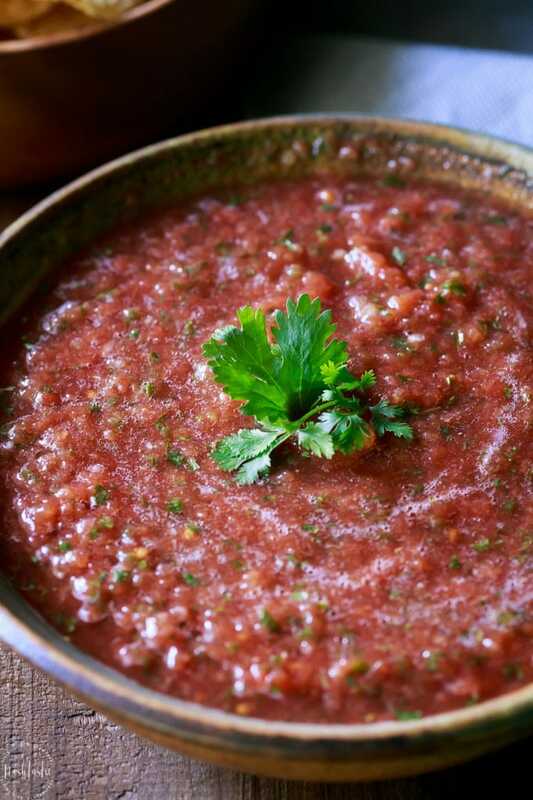 Made with canned tomatoes, fresh cilantro, lime juice, cumin and onion, my blender restaurant salsa is so tasty and easy to make, and if you have company coming you can whip it up in next to no time. Pair it with a big bag of tortilla chips and you’ve got an easy appetizer that everyone will enjoy! 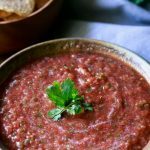 Unless you like your salsa super hot then you’ll need to remove the seeds from the Jalapeno pepper before you add it to the blender. Be careful not to touch your eyes after you’ve prepped it, I’ve done that before and it was not pleasant! I discovered on the internet that if you get chili in your eye then you can pour full fat milk into it and should help, and guess what? It did! I love the flavor of cilantro leaves in my salsa so I typically add a lot. I think it’s better if you can take just a minute or two to pick out the large stems from the cilantro as they don’t always blend up particularly well unless you have one of those super expensive whizzy blenders that will blend anything. Now all that’s left to do is to add it all to your blender and switch it on until it’s smooth! It will keep in the fridge for several days and is great served with tacos, fajitas and all sorts of grilled meat. 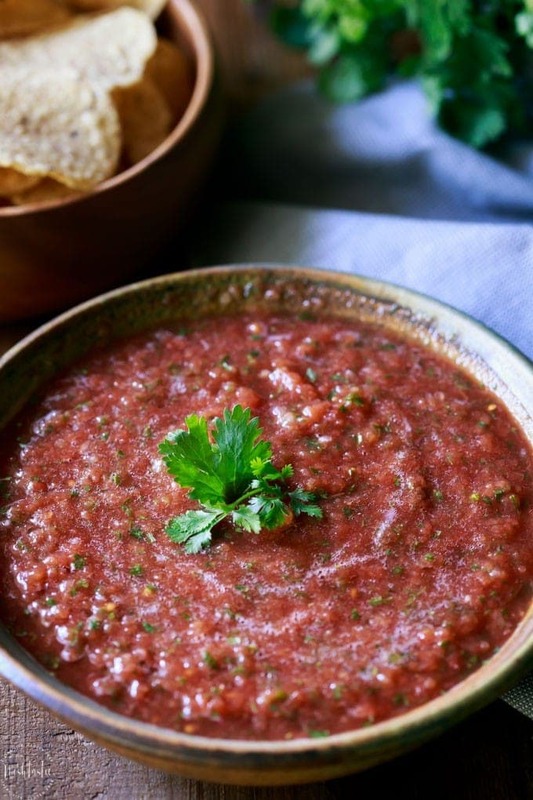 Easy Blender Salsa recipe you can make at home in no time! Put all the ingredients in the in the blender, and then blend until smooth. Just made sure you remove the jalapeno seeds unless you want extra heat, and remove the bigger stems from the cilantro before you add the leaves to the blender. Taste and adjust the salt and seasonings, add a little more lime if you need to. Some people like to add a little sugar, I've not found this to be necessary for my taste. Don't miss my recipe video! You'll find it right below the recipe directions.